Yes, you didn’t read wrong! Meghan Markle wore a H&M dress which is only $17. She wore it to visit one of the charities she has become a patron of, the animal rescue charity Mayhew. When I saw this all beige outfit of Meghan Markle, I thought that she knows this season’s biggest trend very well! Head to toe beige outfits are really in! And everything about this outfit is pretty nice. She looks really effortless and elegant. Especially her beige stilettos! They go perfect with anything. You can match this heels even with jeans or night dresses. And also this beige coat is a joker item too! I can make hundreds of cool outfit with a beige long coat! Let’s talk about the dress! It is something really basic but cool. Especially for a pregnant woman, it looks pretty comfy too! It is not too long or short. And also, I like the idea that matching it with a baggy coat. In this way she looks really fit! Isn’t she? Meghan Markle’s beige coat is from Armani. She completes the look with a Stella McCartney bag. And the dress is from H&M and it is only $17 now! I always say that, looking stylish is not really related to how much money you spent on your clothes! It is really about how do you combine it. As you can see, it is really easy to look stylish with a dress like that. All you need to do is to match it with correct items like Meghan Markle did! If you want to shop similar clothes with this outfit, just click here! 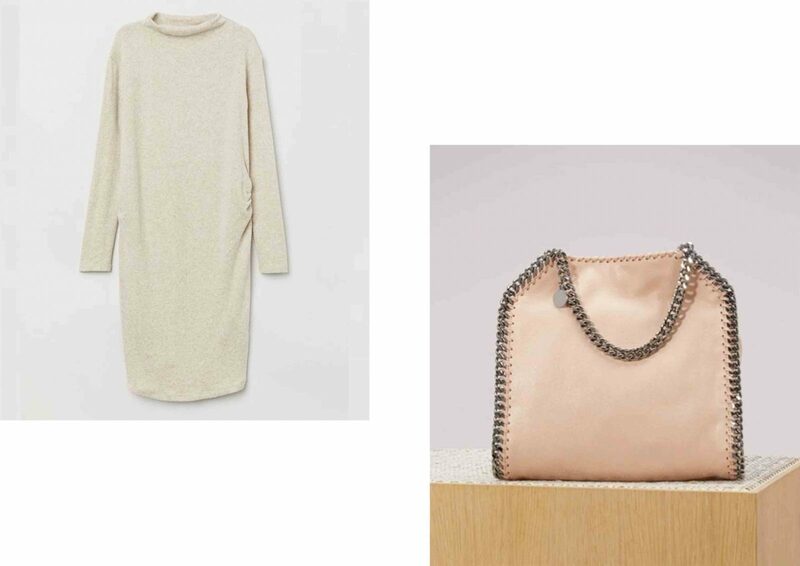 There is a really stylish beige coat from Mango and a very nice suede pumps from Aquazzura. You can watch the video about this look from “The Royal Family Today” Channel!